We Strive to ensure that the complex 'Communication Superhighway' within the spinal column, called the Nervous System, is able to accuratley relay information back and forth between All parts of the body and the Brain. This is Achieved by restoring, Maintaining and then optimising the function of your back and neck, which togeather are referred to as the spinal column. The free flow of information across your nervous system is made all the more important in light of recent research findings. Studies have now shown that the nervous, endocrine, and immune systems are so interconnected that they are better thought of as one system over which the central nervous component is the master controller. The traditional seperation of mental processes from the body have proven to be invalid. 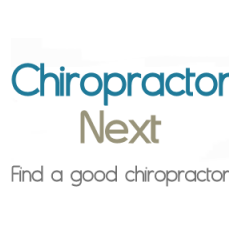 Chiropractor since 2000 and is one of only approx 925 Certified Chiropractic Extremity Practitioners (C.C.E.P.) World Wide. As a Chiropractor with experience, Dr. Nesnick is committed to promoting the health and well being of his patients. Dr. Nesnick uses a "whole person approach" when taking care of his patients. By combining the very best hands-on-technique, state of the art physiotherapy procedures, and providing the newest and best technologies on the market today, Dr. Nesnick is able to help you to accelerate and/or maintain your journey to good health. Dr. Nesnick began his pre-chiropractic education where he studied the basic sciences such as inorganic chemistry,organic chemistry, biology, along with basic physiology and anatomy courses. After completing his study, he was accepted in the chiropractic program at Life University in Marietta, Georgia. During his four years at Life, courses included biochemistry, a major emphasis on anatomy and human physiology, X-ray, diagnosis, multiple chiropractic adjusting techniques and patient care in the Life University Public Clinics. He was also involved with the X-ray department and served as an X-ray Technician during his last year at Life.After receiving his Doctorate Dr. Nesnick decided to return and enter the Masters Program in Sports Injury Management where emphasis was placed on Kinesiology and the Biomechanics of Sport.